OVER the past few months, I have been neglecting music reviewing: seeing it as a bit of a dead-end junction. It was great to begin with- I felt I helped a lot of artists- but after a while, the whole thing became unsatisfying and stagnated. My own music ambitions have come to the forefront, and I find myself becoming more forward-thinking and far-reaching- aiming high and (formulating some) rather big ideas. Music-making and writing is my biggest passion; singing my all-consuming obsession. I am looking to recruit a band that is less all-male- more Fleetwood Mac (with a couple of girls; a few boys to create a more diverse and richer sound). I have my ideal band in mind; the songs practically written- the seduction will be forthcoming. One of the things I find- when looking for band members; writing songs; trying to make things happen- is how hard it can be (to achieve rather simplistic goals). In the last few weeks, I have been engaging more in charitable endeavours; donating time and energy to some worthy causes- something that will augment and multiply in the lead-in to Christmas. One thing that is frustrating is how hard it is to coalesce (music, charity and recruiting) together; make life a lot easier- get people involved. When trying to get people involved in charitable avenues; getting funds and awareness raised- it seemed like an uphill struggle. I know there are some good and loyal people out there- those that are always keen to help out and do their bit. 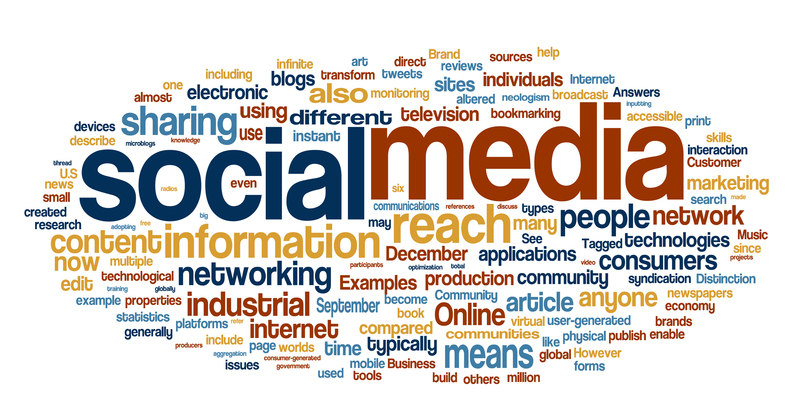 The trouble is; it is near-impossible to engage and motivate large sectors of the online community. Music is something that compels and seduces nearly everyone: that force of nature that is universal and free for all. In addition to formulating my own music; I have been thinking of a way to get everyone together- tying various threads into one idea. As Virgin do; the idea is to have an organization with several strands- but not doing everything for profit and money alone. I have no interest in being a millionaire and wealthy- it is not something that interests me in the slightest. The aim of Psychoacoustics is to have a name that promotes music alone- yet has a business mind; an ambitious and multipart logic. Whereas music-making takes a bit of money; a bit of input- a business venture (like this) takes a tonne of each. It may be an uphill struggle, yet I am passionate about making it a reality. Below are the various ‘sides’ to the business- what Psychoacoustics will consist. Most of you are probably aware of a few of these (in other blog posts), but here they all are in one place- how considerate, huh? The final tentacle of my five limbed squid is a charity: a benevolence that helps to prosper musicians, and non-musicians alike. Let me elaborate. There are a few charities around which aim to provide funds to the new musician- not many mind. The idea is to filter and tribute the profits and finances gained from the other arms of the business, and funnel it into the charity. Of course it will not receive ALL of the profits: there is staff, expenses and other costs that need to be dealt with, yet will (hopefully) benefit from a sizeable chunk of revenue. The charity will aim to provide funding to new musicians: those struggling, as well as those finding it hard to fund their projects. In addition, finance will be assigned to worth music-related projects: invigorating struggling venues; providing support to record labels as well as independent record shops and larger chains alike. Aside from music digressions, it will have an intention to provide support to a multitude of other charities. The idea is that an assigned percentage of donations will go to charities, such as cancer charities, those whom support the elderly etc. ; yet will also aim to benefit many others. I would hope that the charity could entice established as well as new musicians to act as ambassadors and supporters: who would help to raise funds for the charity- as well as raise awareness for worthy causes. All of us have experiences tragedy of life: either first hand or indirectly. Whether a relative has died of cancer, or a local business has faced ruination; there are many things and events that can shape a human being for the worst. Of course we have established charities and great causes, yet few that are music-based. It is hoped that not only Psychoacoustics’ profit-share benefit a multitude of charities and ventures; but it would inspire multinational companies, organisations and huge bands to kick in some funds; help raise revenue and assist in rejuvenating people, causes and lives. There is a lot of focus based around self-involvement and self-enrichment; yet small mind is paid towards those less fortunate. This would be a way of helping to raise money, yet also be involved with music and musicians. The idea is that the charity would have a website and you could pledge an amount. Like the Psychoacoustics website, one could download and access music- at a cost; the idea being that as well as purchasing a track or album a small amount would go to the charity- thus benefiting the associated musician as well as others. Gigs would be organised and events (runs, bake sales etc.) would be hosted; with the intention of encouraging as many different people- from all around the world- to donate their time and effort to symphonise a more stable future. Who could object? Named Psychoacoustic Records, I am determined to create a small record label that will give a warm home to some great talent. In my previous role as music reviewer, Scottish band Universal Thee was one of my favourite ‘subjects’ (see them at https://www.facebook.com/universalthee). I have been communicating with their lovely members James and Lisa Russell for a while now; having been bowled over by their brilliant and original sounds. Between the three of us (as well as the band as a whole) we summated that there is a lot of great talent that emanated further north- Scotland especially. Most of the musical money; including the big labels etc. are based in and around London. I have been blown away by the sheer quality from bands such as Universal Thee- a stunning band that is starting to get the attention they deserve! In addition wonderful bands like Issimo (fronted by the phenomenal lead Abi Uttley, and multi-talented wonder Marc Otway), as well as talent such as Nightwolf, Katsuo, Lisa Marini, Steve Heron and Jade Barnett have been featured amongst the pages of my blog. I have mentioned these illustrious musicians as they are the epitome of the modern-day idols: those nauseated by the cheap X Factor fakery and noxious fame; talents whom let their voices do the speaking and are deserving of a huge audience. They are all going to be huge one day very soon, and it is artists such as these I am trying to recruit. Of course there are hundreds of small record labels- some fail; some succeed- that are trying to do the same as me. I want to set up a label not restricted to the U.K. As much as I want to entice the likes of Issimo, Universal Thee, Steve Heron etc. to the books of P.R. ; I want to look farther afield: to the U.S., Australia, Europe and Africa- aiming to help those who have a stunning talent, and need a record label to help them out. 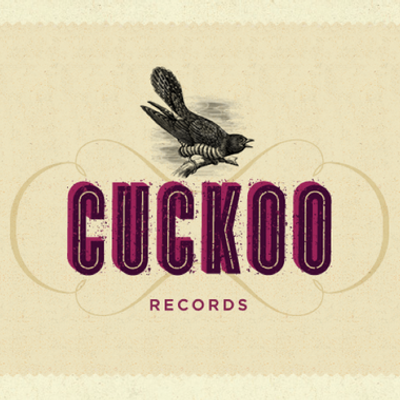 I have been speaking with, and reviewing for, Phil Cass’ brainchild, Cuckoo Records: http://www.cuckoorecords.com/. With the help of a couple of his friends and music colleagues, he has raised and built up a brilliant Yorkshire-based music label. They have some stunning talent on their books- including Cisse Regwick, Annie Drury and Raglans- giving a voice to some superb northern (and Irish) talent. There are precious few southern/London-based labels that share the ethos of Cuckoo': encourage a wide range of genres and talents; with the intention of sharing their brilliant sounds to a wide audience. In conjunction with the studio (below), the label would initially attempt to attract a dozen or so local artists. The long-term aim is to tie and bind international and local acts under one roof: to provide assistance (both financial and creative) to the patrons and participants. Not only that, but provide opportunities for the acts to work with each other and generate publicity and gigs for each other too. It is hoped that I can find premises either in Surrey or London- but I will mention that more later. There are a lot of merits one can assign to and ascribe, with regards to the big labels. They provide a home for some superb artists, yet I feel that too many have limited quality control. I don’t want an X Factor/The Voice parasite in the team; no generic and faceless U.S. act: just concise and staggering bands and artists. Bigger labels such as Rough Trade are the exception that proves the rule; as it seems that there are few smaller labels that have their voices heard. I hope those labels can kick the dust aside and break through. I want to assist them, and work alongside them. I have an idea for a band of course, and it seems logical to parabond the twin desires of music-writing and talent-hunting. I have an idea for a logo; I have some names I want to approach; and have a location in mind- who wants in? The logo will depict a gorgeous woman in a black dress. In her left hand is a blue rose, whilst in her right, is a microphone. There is a microphone stand in front of her, whilst we see a spotlight shine to the side of her face; whilst drops of rain are overhead and on the other side of her face. She has brown fair and green eyes, with red lipstick. To the side of her is a gramophone, as a vinyl plays. She looks focused but relaxed; enjoying and entranced by the music playing. The main logo will be centred, whilst either side of the logo will be ‘Psycho’ and ‘Acoustics’ in red lettering. The letters will be in a stylised font, but easy to red; with the letters bordered in white to give a modern and striking design. This is a store with Rough Trade in mind. The store is split into different sections. 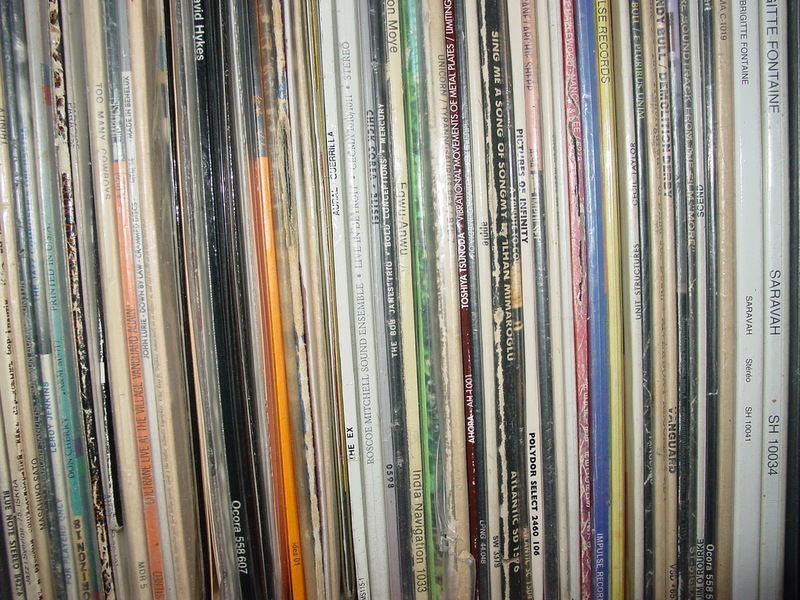 There is an extensive store that offers music by genre, decade etc. and has a large stock- similar to HMV’s largest stores. As with the lower level of the bar, there are paintings, designs and artwork on the walls- and ceilings. There is also band merchandise and memorabilia, signed memorabilia, as well as musical instruments. The idea is that there is everything under one roof that a musician, music fan or music lover could want. There is a charming décor that mixes ’90s Seattle, modern-day U.S. as well as Rough Trade. It is homely as well as modern and cutting-edge. As well as being an all-inclusive store there is a profit-share initiative. Schemes will be set up to allow a small percentage of profits going to independent record stores, as well as local bands. It is all a bit brief, but gives you an overview of what the site will do. Whereas the current social media crop has no real relevance; is flawed and limited; never offers anything beyond vanity and vagueness- this site is aimed at connecting music; finding great music and making it easier to unearth treasures. One of the issues with the internet is how vast it is. You have sites like YouTube, BandCamp, SoundCloud, Twitter etc.- yet no way of connecting it all together. Tying in those sites- as well as search engines- it makes it easy to connect with like-minded people; terrific acts; possible band members (or unearthing a song you had forgotten about). I love YouTube and its choice, but find it daunting- there are so many songs, it is hard to know what to select. Psychoacoustics makes the whole experience much smoother and less stressful. In a nutshell, the site is a one-shop portal for all fans of music. HAPPY Christmas and a fantastic 2015!